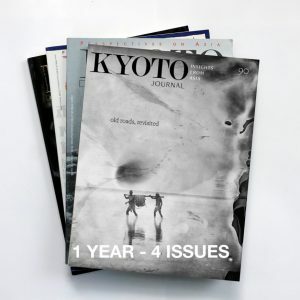 Support our unique, award-winning, independent magazine. Each issue of Kyoto Journal is crammed with diverse, thought-provoking articles: essays, interviews, translations, poetry, fiction reviews, art and photography, covering aspects of Asian society and culture that don’t show up in mainstream media. 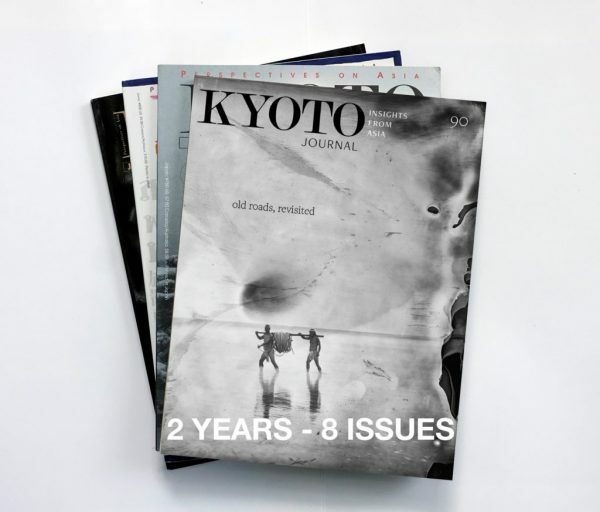 Sign up for a subscription today to receive eight issues of Kyoto Journal. Subscriptions begin with the forthcoming issue KJ93: Food releasing 15 February 2019. The first dispatch day is Monday 18th. ¥16,000 (approx US$145.80) Need a currency converter? Use this one. Shipping to the North America/Europe/Oceania/Asia: ¥4,160 (about US$37.90) total. Your first issue should arrive in 5~10 days after dispatch. We’re sorry to say that we cannot offer subscriptions to customers in Africa and South America right now due to the expense but we are working on it.